Serving the most vulnerable, the underprivileged children and disadvantaged families reach their full potential. For a long time, I’ve had a personal vision to serve the vulnerable and the poor in the world. Particularly women and children. - Reshaping Lives and Creating HOPE for the Underprivileged! For the longest time, I’ve had a personal vision to serve the vulnerable and the poor of the world. Particularly women and children. This is because I’ve seen the poor and the needy trapped by all sorts of difficulties. But sadly, very few understand their problems. And there’s limited support for those affected, either at home or abroad. Imagine poverty as a huge patch of quicksand. Once we label someone as poor, their feet get stuck. And they start sinking. There’s little to no chance they’ll ever get free. Only those lucky enough to get a helping hand have any hope at all. Any hope of becoming economically stable or self-sufficient. Thus, I have a passion for helping the poor and most vulnerable. For helping underprivileged children and disadvantaged families with the necessities of life. Necessities many take for granted, like healthcare, education and employment. This is how Potter’s Gate Charities plays an important role in bringing balance to the world around us. Most of the world's hungry people are in Asia and Africa, with 520 million and 243 million, respectively. But proportionally Africa is hardest hit, with 20 percent of people not having enough food. Support our mission to make a positive change in the lives of these underprivileged children and disadvantaged families. RESHAPING Lives and Creating HOPE for the UNDERPRIVILEGED! Although the situation is dire, we offer some incredible local programs supporting women and their families. Emergency and transitional shelters for homeless women and their children provide much more than a roof over a family’s head. These shelters strive to improve families’ economic self-sufficiency by providing case management, tutoring, parenting classes, life skills and job training. Permanent housing facilities for homeless and chronically homeless women. This provides varying amounts of financial support for women with multiple economic barriers. Therefore, more women can acquire the income required to maintain their own housing. Maternity homes offer comprehensive services for women living independently after the birth of a child. These services include education and parenting classes as well as preparedness training. Pregnancy counseling programs help expectant mothers resolve any immediate physical, environmental, and emotional needs and challenges. These programs also support women and teens in difficult situations, guiding them to make decisions that are right for them. 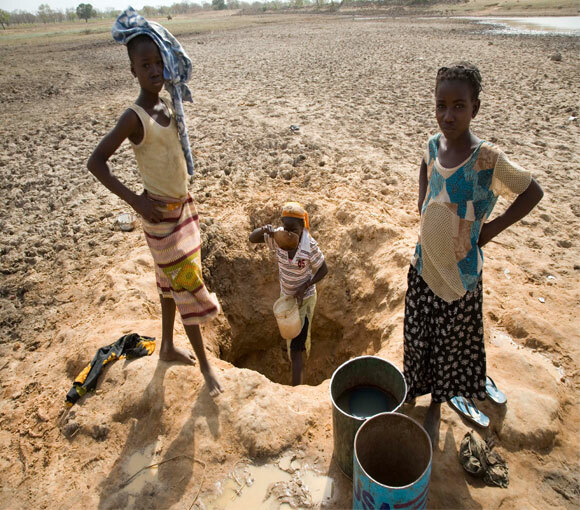 Help solve water crisis in Ghana. For a small investment, you can fund reliable water projects that serve the underprivileged and disadvantaged families, villages and schools. Wells, dams and rain catchment systems can provide hygienic source of drinking water. Potter's Gate Charities Inc. is the National and International office for Potter's Gate Charities and it's Agencies worldwide.